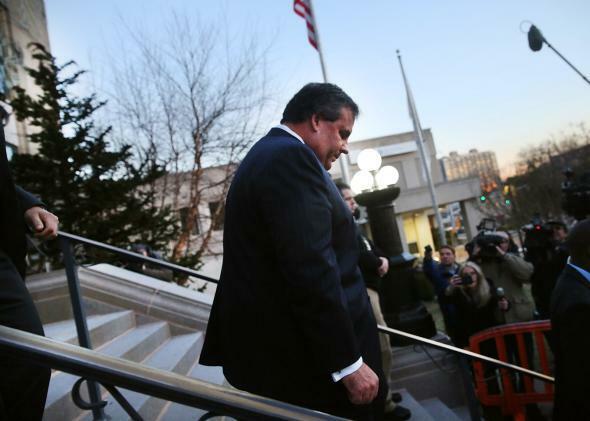 Republicans: Chris Christie's traffic scandal isn't a big deal because #Benghazi. To watch this Sunday’s political talk shows was to watch an orchestra come together into one soaring melody. Enough time had passed, since the first revelations in the New Jersey bridge-closing scandal, for Republicans to form a consensus. Could they defend the details of the scandal? Good question. Let’s talk about Benghazi. You’ll notice we haven’t been hearing a lot from the Clinton camp about this. The contrast with President Clinton and Secretary Clinton’s handling of Benghazi. So I think it’s going to be hard for Democrats to turn this into an issue. How did President Obama not know about the IRS targeting right wing groups? You know, massive numbers of right wing groups … and the reality is, things go wrong in an administration. And frankly, you know, he was in campaign-mode at the time, during campaign-mode you miss a lot of things. You’re not paying as much attention. We see that with Benghazi. I think it is a very big difference than how this administration has handled a lot of things that have happened, whether IRS, whether it’s Benghazi, whether it’s the—you can keep your health insurance if you want it. But nobody has been fired over that. He stood there for 111 minutes, in an open dialogue with the press. Now only if Barack Obama and Hillary Clinton would give us 111 seconds of that would we find out some things we want to find out about Obamacare, Benghazi, the IRS. This is not Watergate. This is not even the IRS targeting of last year. In fact—it’s not even, if you think about this as a raw display of political power, it’s not even this White House using the sequester and the shutdown to inconvenience millions of Americans, as they did, too, to make a political point. Brit Hume took another tack. It’s too bad that this occured on Howard Kurtz’s show, where it was up to the bland and air-filling Lauren Ashburn to debate this. The idea that Christie’s “masculine” approach to politics had been degraded by a “feminized” political culture is at odds with basically all coverage of Christie. He got famous, nationally, for his hectoring town hall appearances (put on and filmed at no small expense by his office). The coverage of his re-election couldn’t have been more soft-focus—the national media was mostly interested in whether Christie would run up the score and run for president, not questioning his style.